The Murray Family may sound like an adorable folk band or murderous Californian cult, but it is not. 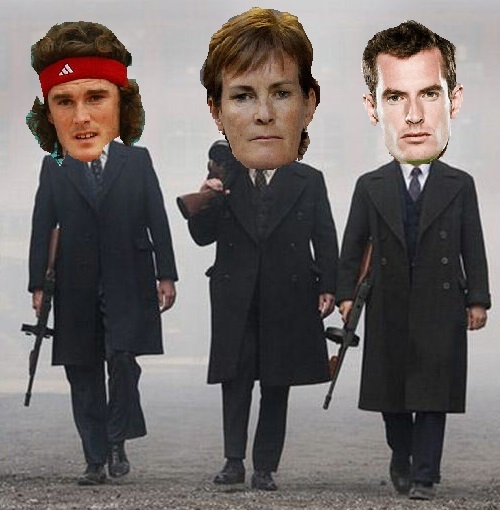 Instead Andy, Judy and Jamie, who came out of a small town, have taken over British Tennis and are now setting their sights high, infiltrating all areas of the game. Andy Murray could make it another major in Australia this month as one of the favourites and with a child on the way, the family is only getting bigger. Much like the Cosa Nostra in their quest for expansion of the New World, the Murray’s are taking over Tennis, and it seems they are profiting hugely from their ‘raqueteering’. 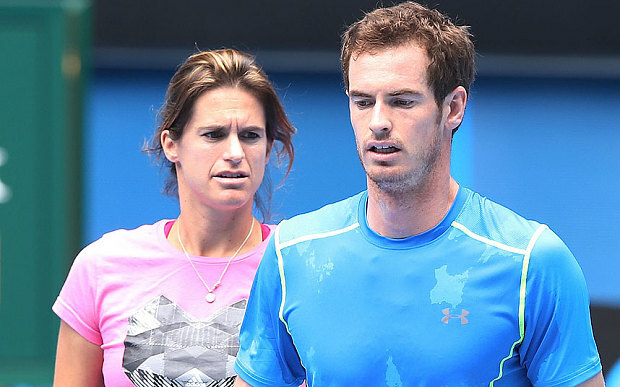 On the playing side, the Murray’s have two world beating foot-soldiers. Andy was always going to be the star child once he left for Barcelona as a teenager. He grew up there playing Djokovic and Nadal, which gave him the schooling he needed to get to where he is today. And today is certainly looking good – two Olympic medals, one US Open, a Davis Cup and the Wimbledon win. It has not been an easy ride however, there have been plenty of losing battles too. Being a runner-up of 5 majors, Andy has experienced plenty of trials, but it is always about how you react. 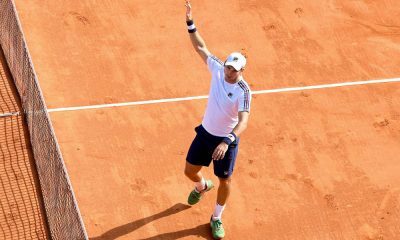 Murray has become a record breaker in British Tennis and given hope to a nation who have lived in the shadow of almost-man Tim Henman for too long. Jamie is often the forgotten brother, (Jelena Jankovic didn’t even know who he was when she met him in Miami. He asked her to partner him at Wimbledon 2008) but has forged a road all on his own in Doubles, and like his brother, has seen unprecedented success for British Tennis. Jamie won the 2008 mixed doubles at Wimbledon and has also been the first brit in decades to reach a US Open doubles final too. He has always been at the side of his family, and at the 2015 Davis Cup he played an important role, winning the Doubles matches alongside Andy. Jamie Murray has achieved 13 ATP tour titles and will no doubt be at the forefront of the doubles game even after his playing career is over. Like all good Mafia families there is a strong matriarchal character – enter Judy Murray. Born to a professional football player Roy Erskine, who played for Stirling and Cowdenbeath in the 50’s, Judy was always destined for a sporting life. Unfortunately for her it wasn’t going to be her. Despite a short stint as a pro in 1976 and playing against the likes of Debbie Jevans and Mariana Simionescu, she failed to make the grade. She could not stay away from the court long though and has lived her passion through her sons. She was their coach before finding success, and has continued her coaching to this today. She is currently helping Heather Watson as her interim coach and captains Great Britain’s Fed Cup team. She seems to be the business brain of the Murray’s too, with an extravagant plan for a development near her hometown of Dunblane. The development which would include a Tennis Academy, Museum, Hotel and Visitor Centre would be a true legacy of the Murray’s achievements. Crucially though it was being built on greenbelt land, and the council have shown little enthusiasm for it, rejecting the initial bid. The plans also hid the fact there would be a golf course and 19 luxury homes in the development, which drew 1,000 complaints from residents. This has not stopped the Murray’s pushing for a change in the decision with a likely appeal pending. Like any self-respecting Mafia they brought in their celebrity pals to help, no not Frank Sinatra, but Sir Alex Ferguson and Colin Montgomerie who have put their backing to the idea. They will be hoping to give the council an offer they can’t refuse. Family is always number one in Mafia and the Murray’s are no different. Andy not satisfied with the amount of tennis in his life married into it this year. Kim Sears may seem like an another beautiful WAG, but her and Andy actually met through her father Nigel Sears – a British Tennis coach. He has worked with the likes of Amanda Coetzer, Daniela Hantuchová and Ana Ivanovic in his career, and his daughter Kim Sears married Murray in april last year in Dunblane. Andy has claimed that he will fly home from the Australian Open if his wife goes into labour, as he understandably wants to be there for the birth. With the Murrays excelling in every side of singles, double, coaching and business, it is scary to think about the potential of any new member to the family. One thing is for sure, they have had an incredible impact on British Tennis and dragged the fans with them, creating a whole new level of optimism in Britain. It seems the next step will be creating a legacy, and with more Murray’s on the way, not even their rival Tennis family the Williams’ can compete at the moment. After 51 years Italy finally has another winner in Monte Carlo. 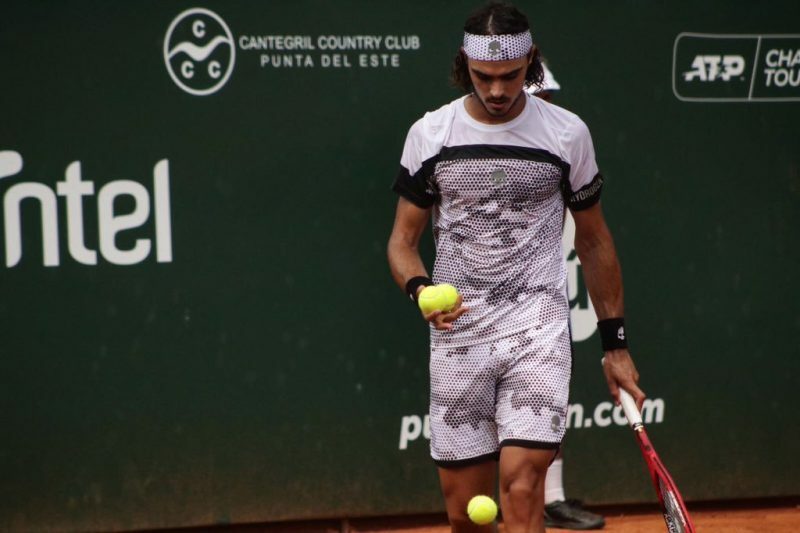 After years of expectation mounted upon him back in his home country, Fabio Fognini has finally proven his critics wrong with a surprise run to the Monte Carlo Masters title. The 31-year-old has always been amongst the best of the world, but he rarely stood out during an era dominated by the presence of the Big Four. He broke into the world’s top 20 almost six years ago in July 2013. Since then, he has spent the majority of the time as the highest ranked player from his country. Then in 2018 he became the first Italian to win three ATP titles within a season since 1977. Despite his accolades, Fognini had never managed to shine in the biggest tournaments until this week. 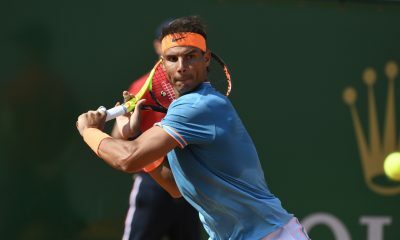 At the Monte Carlo Country Club he stunned Rafael Nadal on route to the final. 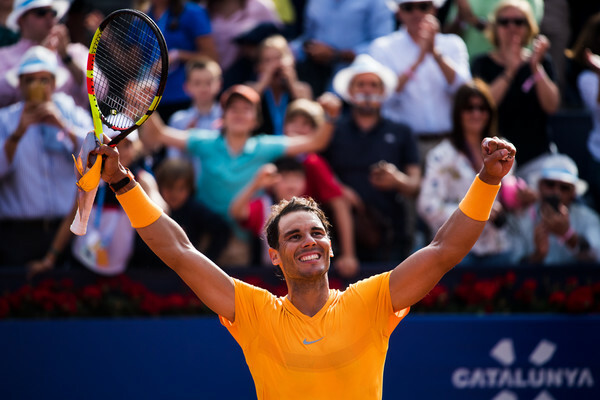 Becoming only the fourth player in history to defeat the Spaniard for a third time on the clay. 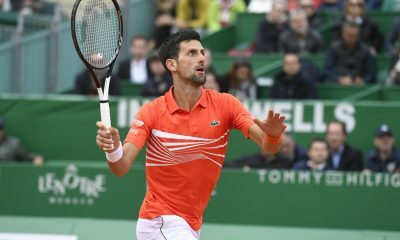 Then in the final, he overcame the less experienced Dusan Lajovic 6-3, 6-4. Becoming the first Italian champion of the tournament since Nicola Pietrangeli in 1968, who watched his match from the sidelines. “I’m happy because I just won a tournament. The consequence is my best ranking.” Fognini said during his press conference. “I just feel happy because I won a big tournament that was always my goal in my career. It is fitting that the biggest triumph of Fognini’s career should happen in this tournament. He was born in Sanremo, which is located in North Western Italy. 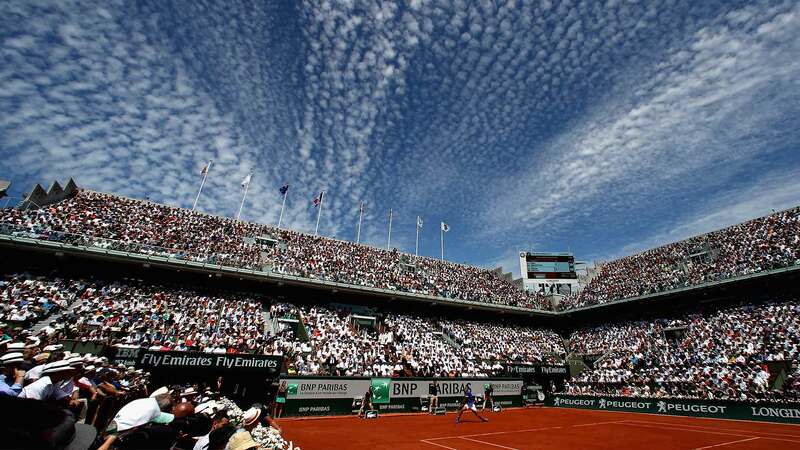 The City itself is located less than 50 Km away from the venue of the Monte Carlo Masters. A place he grew up playing at. “I feel really great now, because this is the tournament, home tournament, because I was born in Sanremo, and I was practicing here when I was young. I know really well this tennis club.” Fognini reflected. “Friends and family are happy now, because I have my name on this tournament. 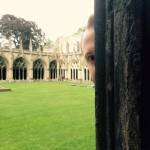 That is something that when I was really young I was dreaming of.” He added. 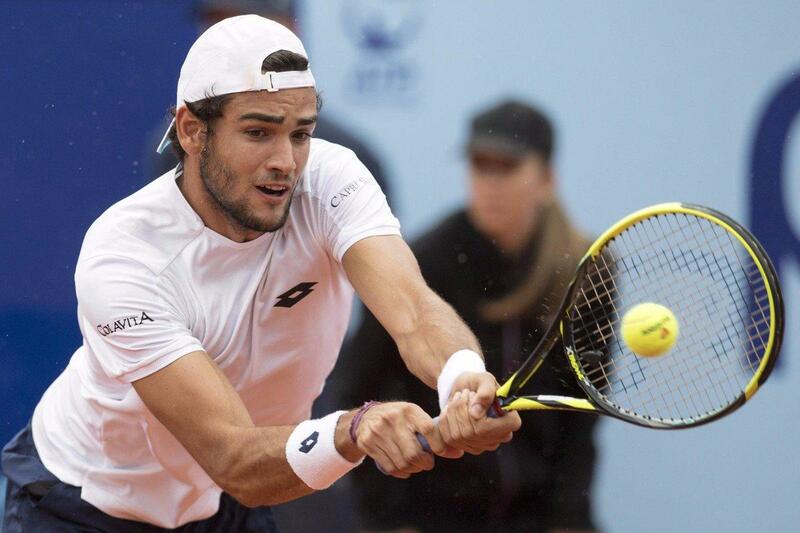 Besides his talent, Fognini also has a reputation of being one of the more animated players on the court. Something that has gotten him in trouble in the past. The most notable occasion was in 2017 when he received a suspended ban for verbally abusing an umpire during the US Open. An incident he later apologised for. Now in his 30s, Fognini will achieve a new milestone in his career on Monday. When the rankings are updated, he will rise to a best of 12th. Edging closer to a place in the top 10 that he eluded him so far in his career. “It was really tough beginning of the year for me, actually, because I played really good last year, and I felt at one point during that year that I was really close to the top 10. I was close around US Open, but I always play really bad there.” He said. 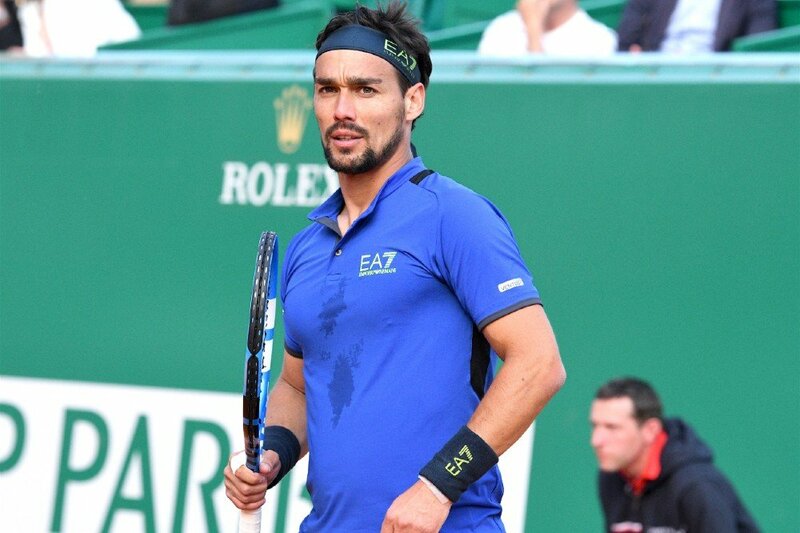 It remains to be seen how much of a threat Fognini can pose at the French Open. The only grand slam he has reached the quarter-finals at back in 2011. However, his immediate focus will be on his health. During the final, he had his right leg tapped. Fognini is meant to be playing at the Barcelona Open, which will get underway on Monday. Fognini now has nine ATP titles to his name with eight of those being won on the clay. After losing four play-off ties since 2011, the British team have finally scored the breakthrough they desired. 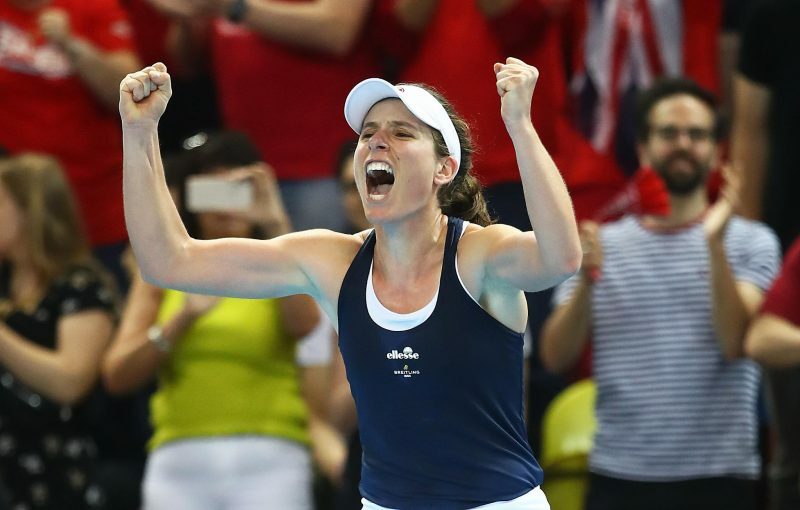 A duo of hard fought singles victories in London has made history for British Tennis after the Fed Cup team defeated Kazakhstan to reach the World Group stage for the first time since 1993. Tied at 1-1 after the first day, Johanna Konta and Katie Boulter prevailed in both of their matches to hand Great Britain an overall 3-1 win over their opponents. The proceedings were opened up on Sunday by former top 10 player Konta. Taking on Yania Putintseva, Konta battled to an epic 4-6, 6-2, 7-5 victory. After dropping the opening set, she was then forced to recover from a 1-4 deficit in the decider to score the crucial victory. Putintseva, who was struggling physically during the match, is only the fourth top 50 player Konta has defeated so far in 2019. Following on from Konta’s heroics, it was Boulter’s chance to seal an unassailable lead for her country in the tie. Boulter wasn’t born until three years after her country was last in the World Group of the Fed Cup. 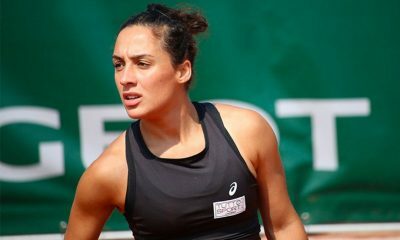 The 22-year-old was out to seek redemption after squandering three match points on Saturday during her loss to Putintseva. This time round Boulter didn’t crumble when under pressure. Like teammate Konta, she roared back from a set down to defeat Zarina Diyas 6-7(1), 6-4, 6-1. Winning 67% of her first service points and breaking her opponent’s serve six times throughout the match. “I was trying to get one win for the team, Johanna did a great job, I was just trying to make them proud today,” she told BT Sport. “I showed yesterday how much it meant, I was so close but today I bounced back and got the win. The triumph comes after what has been years of heartbreak for the British camp. Prior to 2019, they have been on the verge of reaching World Group II of the Fed Cup four times in seven years. Only to lose all of their play-off ties. Making their victory over Kazakhstan even more sweeter. 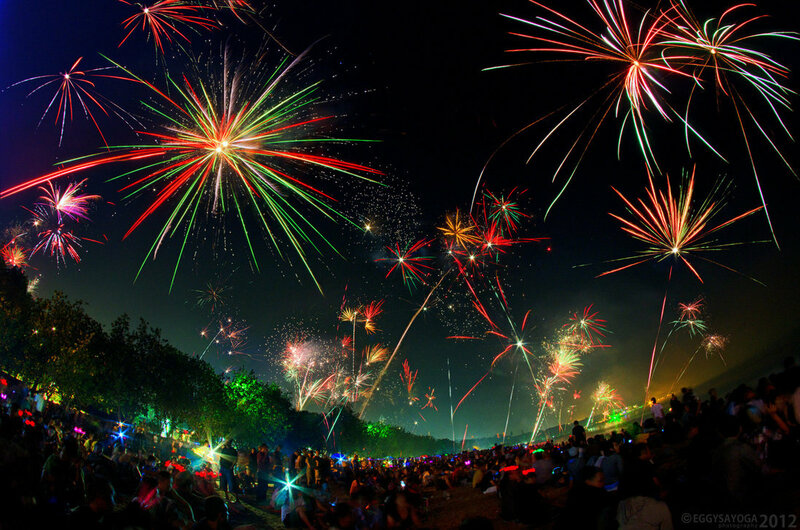 “Amazing. 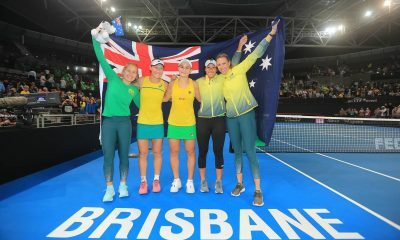 Just a heroic effort from the players this week, some fantastic tennis.” Team captain Anne Keothavong commented. “Everyone here has been part of our journey and this has been an unforgettable weekend. Besides their new status, the contingent of player’s are hoping that their performances will help inspire the next generation. At present, there are five British players in the top 200 on the WTA Tour. Three of which are under the age of 22 (Boulter, Harriet Dart and Katie Swan). “I hope that we have inspired a lot of kids here (in London) today to play tennis or do whatever they want to do.” Said team member Heather Watson. It remains to be seen what is next for the Brits with the possibility of the Fed Cup changing its format. From next year there is a chance that the world group could be turned into a 12-team format. If this happened, Britain is likely to make that group thanks to their latest win.